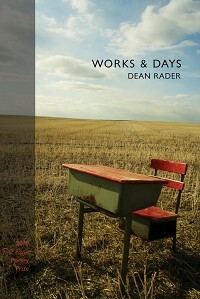 Works & Days, poems by Dean Rader, Truman State University Press, Kirksville, Missouri, 2010, 83 pages, $15.95 paperback, tsup.truman.edu. Winner of the 2010 T.S. Eliot Prize. 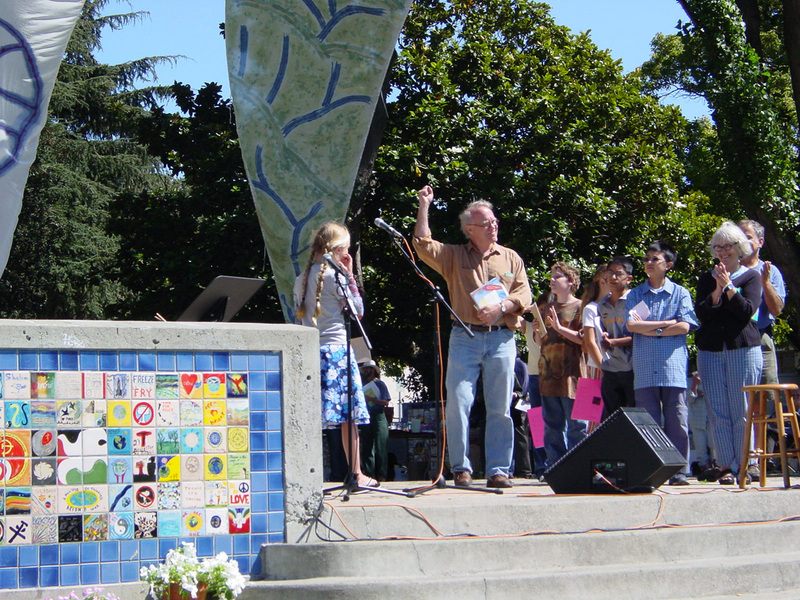 Dean Rader takes his title from an 800-line didactic poem by the eighth century B.C. poet Hesiod, whose Works and Days is a kind of farmer's almanac. Known for its moralizing advice about the struggle of human existence, its emphasis on economies, and its use of the myths of Prometheus and Pandora, Hesiod's Works and Days is understood by scholars against a background of crop shortages in agrarian Greece at a time when need exceeded natural resources. Unlike Hesiod, Rader did not grow up on a farm, but his grandfather did own one in western Oklahoma, a farm which until recently was still in the family. As I learned in conversation with Rader last spring, for an interview with the poet, Rader evidently spent much time on his grandfather's farm when he was a boy. True to this theme, Rader waxes pastoral in "Hesiod in Oklahoma," a long, central poem, and in the poem, "While Looking up the Etymology of 'Country' in the OED, I Come across 'Cornucopia,'" rhapsodizes and despairs of harvests, bemoaning the "…Sad pumpkin, / sorry seedy pumpkin, you make me want to know / what gifts await us…," "…the pumpkin, / America's worst food—swollen larval carrot, / retarded beach ball, cranium for God's rejected // lot.…"
For the most part, though, Rader's Works & Days is set very much in early twenty-first century urban, capitalist America. Rader takes up work not as a platform for moralizing so much as a rich source of striking metaphors about the poet's livelihood. Hesiod's crisis was agrarian: what to do when there's a shortage of arable land and hence food? The looming threat for urban-dwelling writers is perhaps an aridity of inner resources, the kind that kept the patent office, the universities, corporations, as well as movie studios and publishing houses humming for the past century. This threat does not materialize for Rader, whose furrowed ground is the rich ground of himself and his understanding of the world. These puzzles are the real toil of Rader's Works & Days, where capitalist styles and schemes enliven old forms. To the right of the page, the poem, "PowerPoint Presentation on 'The Sonnet'" annotates its own rhyme and stanza scheme and begins each line with a bullet point, and, with a bow to John Donne, uses corporate language and typography to explore the creative powers the poet, in this case Frog, must conjure to make a poem. Frog listens to the advice of Donne on sonnets and contemplates himself in the surface water of the Pond: "…Take me to you, [the pond] says to Frog. / • Blow, burn and make me new. Make me, it whispers, Make me." Post-It notes enter into "Self Portrait: Frank O'Hara to the Distended Angel," a poem about memory, angels and forgetfulness. A love poem ("Talking Points [Love Poem]") boasts "talking points" of the kind used in boardroom presentations to stockholders and customers, as Rader inventively splices the language of money and acquisition and sales into a lovers' story. In "The Poem You Ordered," the energy and excess of capitalism drive poems to be written the way you might design a flyer on Adobe Design or order a pair of trousers from L.L. Bean: "On the pull-down menu, you selected quatrains but then, after much deliberation, you changed your order to couplets. You paid extra for the stirrups, the tattoo but said no to the eye patch, the hammock and all warranties." or if the ____ is just sorrow. This idea of filling in the blanks appears as a metaphor for missing parts of the self in the poem, "[ ]," where the title itself is missing and, in echoes of Wittgenstein, the next to last line reads, "It all hinges on this—we are what we speak." Rader also likes his metaphors straight up. In "Self Portrait: Rejected Inaugural," the poet imagines history to be the buttonhole of memory––a brilliant metaphor, for buttonholes not only tie down history––or at least recorded history––and fix events in memory, but they also lobby the memory on behalf of their own interests. This lobbyist, this stenographer, the poet tells us, is in need of a new suit, and he goes on to ponder the various identities we Americans have assumed in our travels: "…we dragged our whiteness across / The plains. . . . // . . . we dragged / Our blackness along the field. . . . // …we dragged our redness // Into the forests. …"
In another self-portrait, "Hesiod in Iraq," Rader quotes directly from Hesiod: "In what kind of matter is it right to trust in men?" In this poem, words are cast as food. Without language, the poet's body would begin to fall apart, to come apart at its seams. "Load up sounds the body makes: / shapes vowels twist the body into: / noun of the body: noun of the blood // …Where the word ends / avulsion begins." Rader imports the warrior's battlefield into the very act of getting out of bed in the morning. Who has not felt on waking, "morning's drab holster / empty empty and empty again:"? Only when he strays beyond the parameters of Hesiod's Works and Days, is Rader less than completely fresh and entrancing, as for example, in "India to Texas," or when he borrows lingo from the self-help manuals in "Frog Seeks Help with Anger Management." Works & Days has three parts: "Works," "&," and "Days." 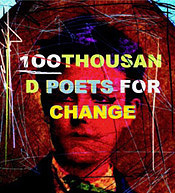 The first two sections, the most original and powerful, are followed by Section Three, a series of portraits of the poet at different ages, the first at fourteen, as the poet stares out into the ocean ("Ocean Beach at Twilight: 14"), the next at thirty, then thirty-one, and so on. In the book's opening poem, "Traveling to Oklahoma for my Grandmother's Funeral, I Write a Poem about Wallace Stevens," an elderly woman peeks at his poem; he doesn't mind, he admits, because "she will die before I do." Such humor, not all that common in the lyric tradition, is standard in Rader's work, where the touch is light, yet serious. A small-town boy from Oklahoma, Dean Rader's anything but provincial, creatively blurring boundaries between agrarian and urban, ancient and postmodern, Anglo and indigenous, and far from inscrutable, unlike the poet he imagines in his voluptuous, prize-winning poem "Hesiod in Oklahoma, 1934." Whether he is writing a love poem, giving instructions on how to buy a gun in Havana, imagining a parallel universe while star-gazing, musing on a Motherwell painting, or ordering up a poem the way you might shop online, Rader is witty, smart, provocative. Like Claudia Keelan, who selected Works & Days for the 2010 T.S. Eliot Prize, I recommend it. Zara Raab's new poetry book, Swimming the Eel, was published in fall 2011. Her poems, reviews, and essays appear in West Branch, Arts & Letters, Nimrod, The Dark Horse, River Styx, Redwood Coast Review, Poet Lore, Colorado Review, and elsewhere. She lives in Berkeley, California.